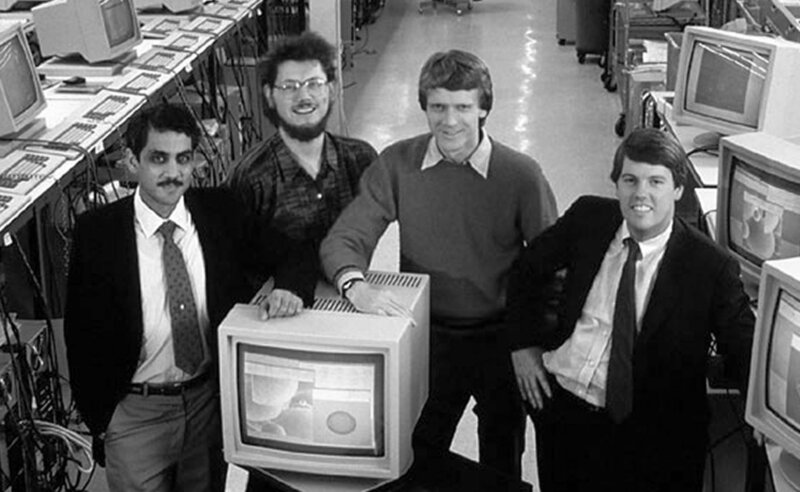 In February 1982, Bechtolsheim and two other Stanford graduates, Vinod Khosla and Scott McNealy, joined together to launch Sun Microsystems. Khosla was named President, McNealy director of manufacturing and Bechtolsheim VP of Technology. They were also joined by Bill Joy, a Berkeley PhD famous for his design of a Unix operating system. Joy was tasked with designing the software for Sun’s workstation. The company was immediately successful selling to the university marketplace, and in its first two quarters of operation generated $8 million in sales. In November of 1982, we invested $1.7 million convinced of the market opportunity as well as the strength of the team leading the company. Doerr joined the board and later took a sabbatical from Kleiner Perkins to work with Sun to manage the desktop division and develop the SPARC microprocessor. Sun was ahead of its time in its vision for networked computing power, and it quickly added other verticals beyond the university market that were hungry for its open source workstations. Sun’s first big success was with ComputerVision. The company wanted a new platform for its software products and had signed a contract with another provider, until Sun came along and persuaded them it had a better solution. ComputerVision dropped its prior agreement and signed a contract with Sun that signaled Sun was a serious contender in the market. Others followed suit, most notably the financial houses of Wall Street that became big Sun customers. Capitalizing on its success, the company went public in 1986. Sun’s subsequent growth was explosive, expanding its range of products to include Java, the Solaris operating system, ZFS, the Network File System (NFS) and SPARC. Sun contributed significantly to a number of computing technologies, including Unix, RISC processors, thin client computing, and virtualized computing. The company’s success continued through the dot-com era, but it began to struggle in the early part of the new century with declining sales of its high-end hardware. In 2009, Sun was acquired by Oracle for $7.4 billion. Sun Microsystems left an indelible imprint on the technology sector. The company was known for its talent and became something of a farm system for Silicon Valley. Many of the big names of technology earned their stripes at Sun and went on to become CEOs of Google, Yahoo and Motorola. Khosla, Gage and Joy all became partners at Kleiner Perkins. Its most famous software, Java, which allowed users to write software across any computer and operating system, still runs beneath millions of websites and applications today.